Foreign Portfolio Investors (FPIs) withdrew over Rs 5,300 crore from the Indian capital markets in January, indicating their 'wait and watch' approach ahead of the general elections. Prior to this, they had infused a net sum of over Rs 17,000 crore in the capital markets -- equity and debt -- during November and December 2018. In October, they had pulled out a massive Rs 38,900 crore. 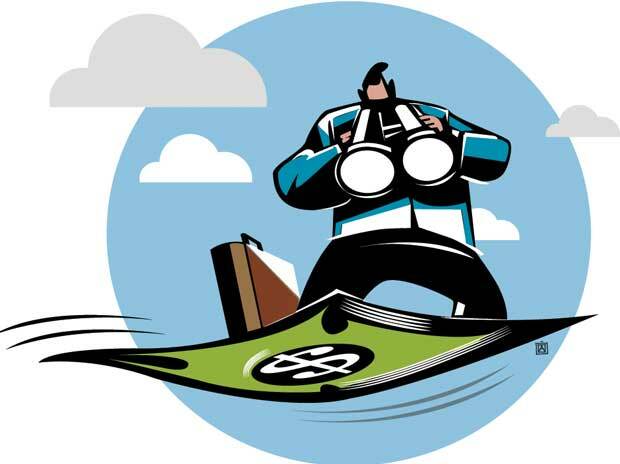 According to data available with the depositories, FPIs pulled out a net amount of Rs 5,264 crore from equities and Rs 97 crore from the debt markets last month, taking the total outflow to Rs 5,361 crore. "Investors are taking a cautious approach given their focus on global headwinds and upcoming general election," said Vinod Nair, Head of Research, Geojit Financial Services Ltd. It has not been a good start of the year with regards to FPI flows and clearly they are continuing with their cautious or 'wait and watch' stance towards India, which they have been maintaining for a long time, said Himanshu Srivastava, Senior Analyst Manager Research at Morningstar Investment Adviser India. He further said the focus would continue to be on economic growth and the general elections. Other factors such as movement in crude prices and currency, which would have a bearing on the country's macro-environment, and worries over global trade war will continue to guide the direction of FPI flows, Srivastava added. Echoing the views, Alok Agarwala, Senior VP and Head Investment Analytics at Bajaj Capital, said FPI flows would continue to be volatile in the coming months. "The outflows could continue further with escalating trade disputes. The domestic macroeconomic concerns viz, weakness in currency, movement of crude oil prices, trade deficit would also weigh on inflows," he said. "As a base case scenario, we could expect overall net flows to turn marginally positive in case external conditions improve in the next few months as one of the factors, that is oil prices, corrected sharply in last few months," he added.